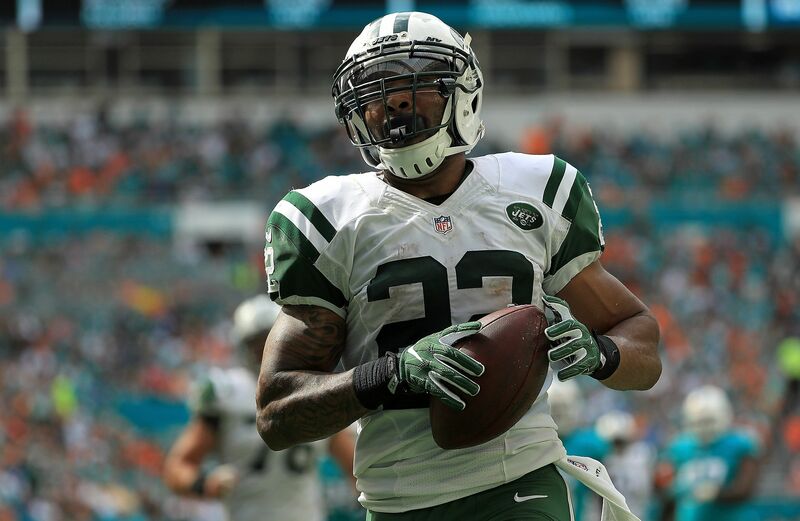 In a case of what took so long, the New York Jets are looking to trade running back Matt Forte. The New York Jets went all-in on a rebuild during the offseason, cutting multiple veterans right away and a couple others later than seemed reasonable. Running back Matt Forte was a proverbial last man standing in that purge of veteran players, somewhat inexplicably with the emergence of Bilal Powell as the No. 1 back late last season. But that seems to be changing, on the verge of rosters being cut down from 90 to 53 across the league. According to Tom Pelissero of NFL Network, the Jets have “gauged the trade market” for Forte. Forte started last year as the Jets’ workhorse back, with 52 carries for 196 yards and 59 total touches over the first two games. But after a three-touchdown game against the Buffalo Bills in Week 2, he had just four more rushing scores over he rest of the season (two in one game) with only one more 100-yard game on the ground. Forte also missed the last two games of the season with knee and shoulder injuries, which fully opened the door for Powell. Forte also had offseason shoulder surgery, and a hamstring issue hampered him early in the preseason. Such is life for a soon-to-be 32-year old running back (Dec.10), but the Jets hanging onto him this long can only be explained by his $4 million salary being fully guaranteed. That same $4 million salary has to diminish interest in Forte, which is why the news only points to the Jets making some sort of effort to gauge the market. But he’s also not completely worthless, with at least 30 receptions in every season of his career and over 40 catches every year before 2016 with the Jets. The Jets simply releasing Forte before Friday’s roster cut down time is the most likely outcome here. But a team like the Kansas City Chiefs could see some value in him and offer a draft pick to take Forte off the Jets’ hands.